Lately I’ve been thinking about the topic of literary citizenship. I learned of this concept from author, Kathleen Rooney. When Kathleen spoke about it at a writer conference, she credited Cathy Day who teaches a class on the idea. Kathleen’s talk on literary citizenship was a light bulb moment for me. I’d been working to be a good literary citizen without knowing there was an official term for it. But I realized there was more I could do in that department. There’s always more we can do, right? No, this isn’t anything new. Anyone who tries to follow the golden rule will likely do many of these things already. But putting a title on the concept expanded the idea for me and gave me a clear pathway to follow. 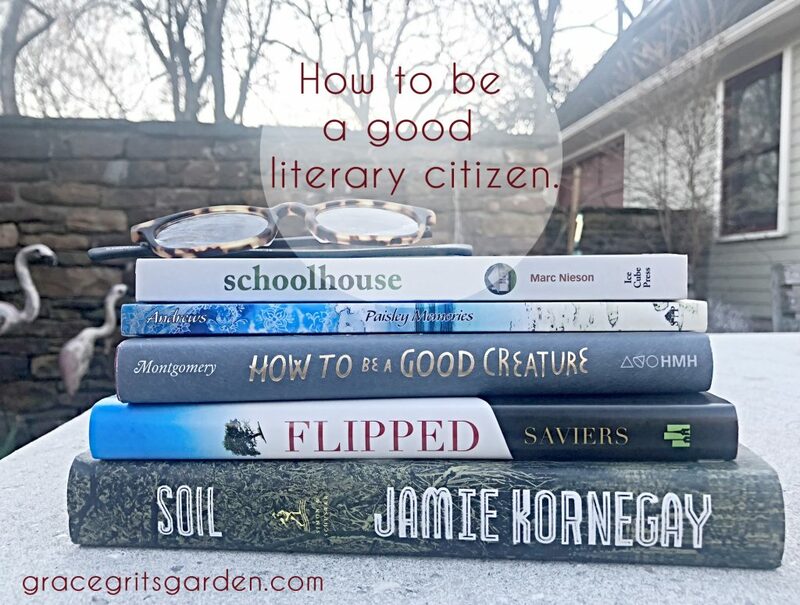 So what does it mean to be a literary citizen? Literary citizenship is about supporting the literary community, whether you are a writer or a reader, a storyteller of any sort. That’s all of us! Here’s the thing. Some of these ideas cost money. Some do not. Choose what works for you. Even doing one thing on this list will help the literary community. Read. A lot. Read more than you do now. Read when you should be (fill in the blank). Support brick and mortar bookstores by buying from them (at least on occasion) and/or attending events they host. Bookstores have more than books, you know. For instance, Bookish in Fort Smith has all sort of cute literary gifts, including pencils, t-shirts, and socks. If you belong to a book club, recommend a book you love to the other members. If the book was written by a local author, invite her to your book club to discuss the story in person. She will be thrilled. If you don’t belong to a book club, join one or start one. (Your local library / bookstore probably has a great one you can join!) I’m convinced if we would all read (and garden) more, the world would be a better place. Keep this in mind: if you buy from third-party Amazon sellers, the author makes $0. My personal opinion is this: If buying from a third-party seller means you will read my book, do it! We all like to save money. But if you go this route, please leave an Amazon review. No matter how you come to read the book, please write a short review. It’s worth repeating—authors need honest reviews. Reviews help authors reach new readers. Reviews help readers find great books! Your review doesn’t have to be long or fancy or filled with five-dollar words. Simply writing I loved it! is plenty good, I promise. Subscribe to literary magazines. This may not be your cup of tea, but if you are an aspiring author, you might consider this as a way to help improve your craft and help magazines that are likely struggling. 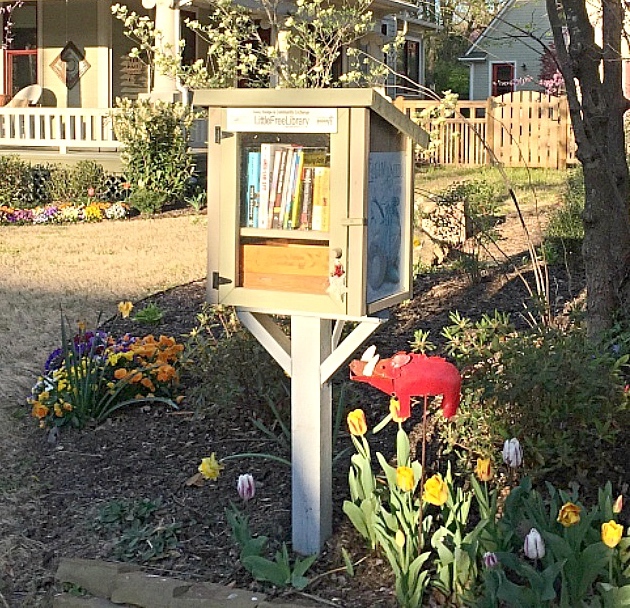 Support Little Free Libraries by being a steward and/or borrowing and leaving books and magazines. Tell people about the books you love. Word of mouth recommendations sell books! Take a picture of yourself reading a book you enjoy and post it on Facebook. Tag the author or publisher. Add books to your To Read list on Goodreads. Adding a book means others on Goodreads will see the book in your feed. Exposure is key. Write Goodreads reviews, too. This can be identical to your Amazon review. Copy and paste, y’all. Attend library events and let others know about the event by sharing via social media. Buy books as gifts. If you’re excited about hearing one of your favorite authors speak, buy several signed copies of her books and save them for future birthday / Christmas gifts. Visit book stores when on vacation. I love to do this! If you are an author, share what you know about writing and publishing and book marketing. There are others who dream of writing. A few days ago, I was the recipient of the ultimate example of literary citizenship. While at the Mid-South Christian Writer Conference last weekend in Tennessee, my writer friend, Debbie Archer, pitched my work-in-progress to an agent! She only had fifteen minutes to talk to this agent, and rather than pitch one of her own projects, she championed mine. 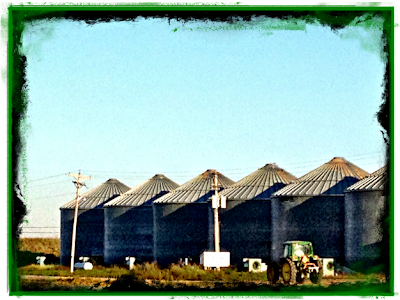 And she did such a great job, the agent asked me to query her. Will anything come of this? I don’t know. But wow, I’m blown away by her generosity. And by the way, Debbie’s first book debuts in November. Please go follow her Facebook Author Page, as well as her website. And when the time comes, I hope you’ll pre-order her book, Pocket Change, a cozy mystery. This is such an interesting topic and I will need to think about all the information. The first thing (literally) that Randy and I did when we moved here was get our library card. Thanks for being a good steward of books and reading. So looking forward to your next book. Thanks Cathy! I love our library:)))) All libraries for that matter. I can’t wait for my next book too. LOL. Great post! I have shared it on Facebook. Looking forward to your WIP! I joined a book club this year, something I’ve wanted to do for such a long time….years. And what I love the most about it is there are no rules. We’re a small group of about a dozen people in ages from 7 yrs to over 80, both genders. We each read whatever we want to, as much or little as we’re able to, in any format we like. When we meet, we each share what we’ve read, what we liked about it, what we started to read & dropped….why we dropped it, ect. I love that we are just sharing our love of reading…no serious analyzing or anything. Our tastes are so varied of course & by sharing what we love…we’re each inspired to try something new. At our last meeting we heard about a baby board book, biographies, history, a Greek text, an audio book & some magazine articles……& of course fiction….we all love fiction. I cannot imagine a world where I could not read. It is my most favorite thing to do & I’m so glad there are many people who love to write. Good information and it was gratifying to check off several items on your list that I routinely do. One of my sons once told me (as a teenager) that he thinks they are the only kids that use a library! I’m sure that’s not true, but I was happy to instill that habit in them. As a “wanna be” minimalist, I had a hard time paring down my books until I discovered the little free libraries and embraced the regifting concept. I had no idea about third party Amazon earnings or the importance of reviews so thank you for enlightening me! Amazon is a beast. I depend on Amazon to help sell books, but I make very little from Amazon sales (direct or third-party). Reviews definitely help offset the pain of it LOL. Talya, how do you make so little? Is Amazon taking some huge cut? With the company selling almost 50 percent of all print books and more than 70 percent of all e-books in America, what can an author do? Incidentally, I tried emailing you a couple of times under your Contact tab listed at talyatateboerner.com and got “failed to send your message.” Is there another way to reach you?